On Dec. 18, 2018, a school bus-size meteor exploded over Earth with an impact energy of roughly 10 atomic bombs. According to NASA, the blast was the second-largest meteor impact since the organization began tracking them 30 years ago, bested only by the infamous fireball that exploded over Chelyabinsk, Russia&utm_content=Google%20Feedfetcher), in Feb. 2013. Despite this, hardly anyone noticed it was happening — and nobody saw it coming. NASA learned about the December impact thanks to the U.S. Air Force, whose missile-monitoring satellites were among the first to detect the blast. The rumble of the impact also registered on infrasound detectors — stations that measure low-frequency sound waves inaudible to human ears — around the world, giving scientists enough data to draw some basic conclusions about the sneaky meteor. 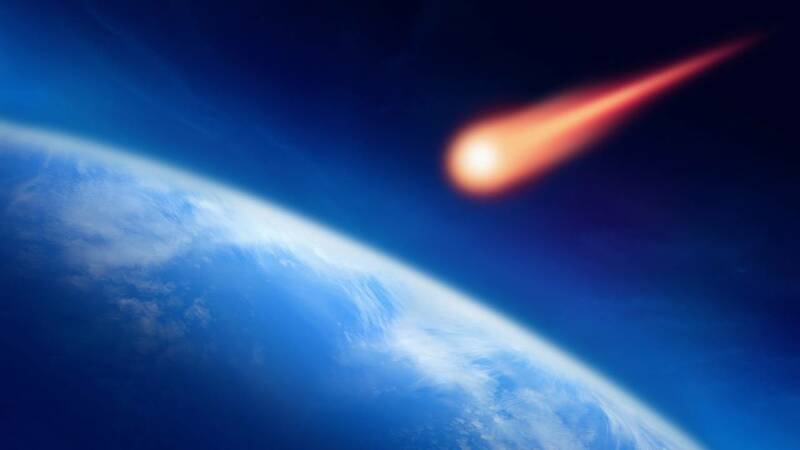 According to NASA, that meteor weighed about 1,500 tons (1,360 metric tons), had a diameter of about 32 feet (10 meters), and was traveling through the atmosphere at about 71,582 mph (115,200 kilometers per hour) when it exploded. The blast occurred about 15.5 miles (25 km) over the ocean and erupted with an energy equivalent to 173 kilotons of TNT — roughly 10 times the energy of the atomic bomb that the United States detonated over Hiroshima during World War II. The world's asteroid-monitoring groups failed to see the rock headed our way likely due to its smallish size. Alan Fitzsimmons, an astronomer at Queen's University Belfast in Northern Ireland, told New Scientist that most modern telescopes are best able to detect objects measuring several hundred meters or more in diameter, making smaller objects like this one easy to miss. NASA asteroid hunters are most concerned about identifying near-Earth objects measuring 460 feet (140 m) across, which have the potential to obliterate entire US states if allowed to pass through the atmosphere, Live Science previously reported. The December 2018 impact only came to attention this week thanks, in part, to a presentation at the Lunar and Planetary Science Conference in Texas that was delivered by Kelly Fast, NASA's near-Earth objects observations program manager. Fast told BBC News that the December event exploded with "40 percent the energy release of Chelyabinsk," but didn't show up in the news because of the impact's relatively remote location. The Chelyabinsk meteor, which measured 62 feet (19 m) wide, passed over mainland Russia and was recorded by many motorists. The resulting shockwaves injured more than 1,200 people.